Mix of five-spices, vanilla-hazelnut flavouring and maraquja flavouring. Strawberry and chocolate are friends for life. 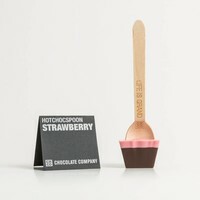 This delicious combination of flavors performs masterfully in Hotchocspoon Strawberry . New! Milk chocolate decorated with Jelly Beans. Vanilla gives this pure chocolate that extra touch of love that warms the heart. 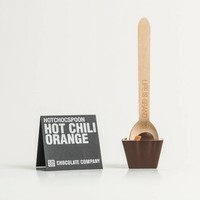 The Hot Chili Orange is made of a masterful combination of chocolate, orange and chili pepper. This is one of the CHCO favorites and a unique taste sensation. You have pure and you have pure. 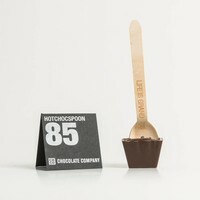 This 85% is pure in all its glory, full of flavor and a favorite with lovers of the darkest chocolate.